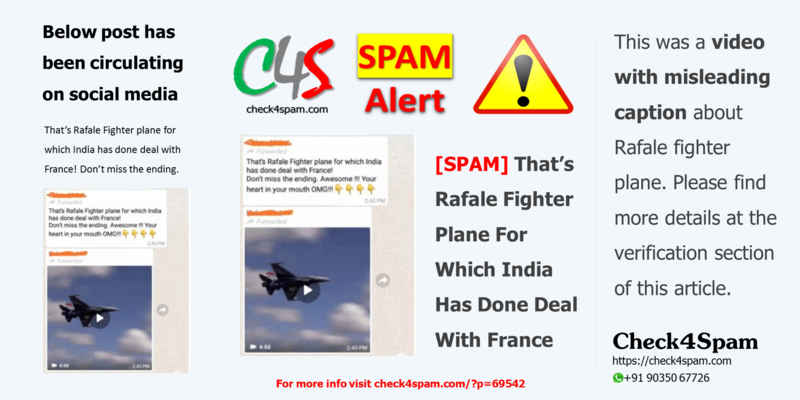 This was a video with misleading caption saying it’s Rafale fighter plane. Please find more details at the verification section of this article. That’s Rafale Fighter plane for which India has done deal with France! Don’t miss the ending. This is a video getting circulated on social media with incorrect caption. There are uncountable shares of this video with false caption on Facebook. Its a model of an Airplane that can be ordered online. Its a remote control small plane. The video was posted on YouTube by @Flex Innovations in 2016.